Need a hard copy of something in Basecamp? 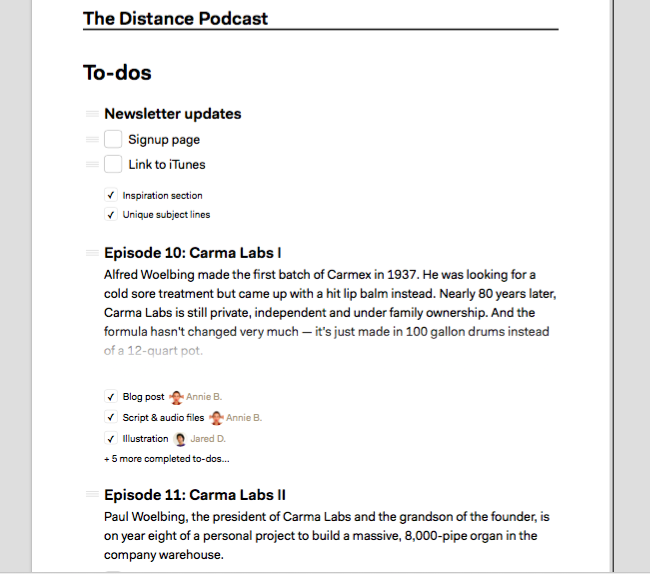 Just use the print command in your browser or the desktop app, and Basecamp automatically adjusts the layout to fit and look great on paper. Printing can be super helpful when you just want a hard copy of what you are working on in Basecamp! For instance, it's useful for an event planner who prints off his to-do list on the day of the big event, an account manager who would like a hard copy of her correspondence with a client, or an editor who prefers to proofread on paper. If you like to print your work - we've got you covered! How to print in Basecamp - a primer! To print from the Basecamp app, click on the File menu, and then the Printcommand. 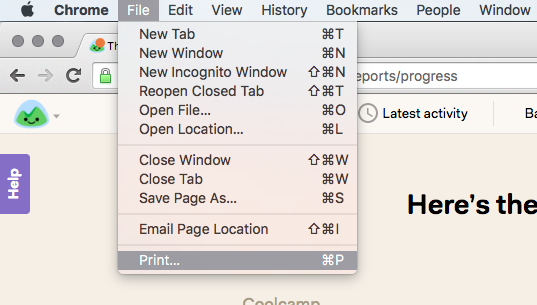 If you're using Basecamp in your browser, you can use the print command built into your browser. Just press File from your browser tab and then, Print ! Voila! 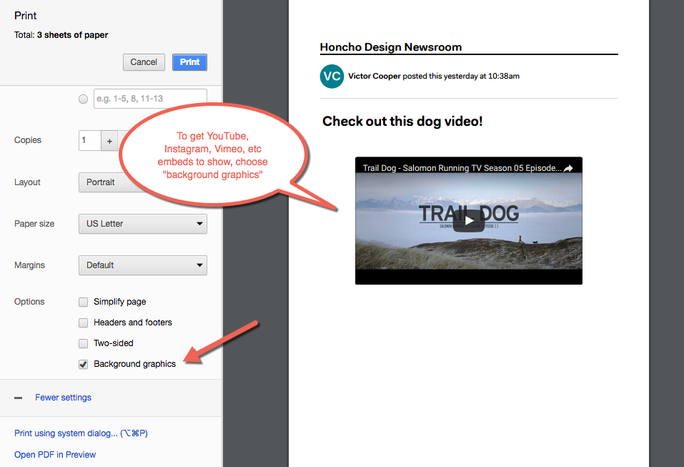 You'll see your Basecamp page transformed into a more printer friendly version! Pro tip: Print with "background graphics on" in order to make any images, YouTube clips & GIFs show up a bit more elegantly in your print out.